Now remakes are a tricky thing to truly nail down, but a remake of a remake, that’s just tall order beyond anything a remake could face. The original tale of Seven Samurai was given the remake treatment in the form of 1960’s The Magnificent Seven, both classics in their own right, the former more so than the latter. And thus 2016 produces another remake that attempts to capture a fraction of what those two did. Looking to mine for gold, greedy industrialist Bartholomew Bogue (Peter Sarsgaard) seizes control of the Old West town of Rose Creek. With their lives in jeopardy, Emma Cullen (Haley Bennett) and other desperate residents turn to bounty hunter Sam Chisolm (Denzel Washington) for help. Chisolm recruits an eclectic group of gunslingers to take on Bogue and his ruthless henchmen. With a deadly showdown on the horizon, the seven mercenaries soon find themselves fighting for more than just money once the bullets start to fly. This particular remake is certainly less heinous than others as it does bring some new elements to the story. The Magnificent Seven is a simple story about revenge with western elements that play wonderfully well on screen. This new version is updated for modern audiences and it works in spades. An ensemble piece such as The Magnificent Seven is so dependent on if the cast is enjoyable to watch and the filmmakers here have made sure to assemble the right pieces. Denzel Washington is to the point where he has mastered his craft and could be charismatic and likeable in his sleep and Chris Pratt was born to be a cowboy. Those two get the most screen time of the seven but the other members still carry their weight. Ethan Hawke and Byung-hun Lee are both fun characters that have such great chemistry with each other as well as the team. Vincent D’Onofrio is so over the top as the burly mountain man but he still manages to be amazing. But if nothing else comes of this film one thing I can say is that Haley Bennett and Martin Sensmeier are both bound to get more work. Bennett, as the woman that hires the seven Emma Cullen, is lovely in the role but also just as believable when she picks up a rifle to fight and Sensmeier is an action star waiting to happen. Antoine Fuqua is such a versatile director as he has proven once again with The Magnificent Seven. If you look through his filmography each film is different than the last in some way or another. But here Fuqua has made an incredibly kinetic action film that rivals any released this summer, that is a blast to watch and pretty brutal for a PG-13 rating. The action is shot well and even the sweeping landscape shots are beautiful in a film that crafts all of the classic western elements into modern blockbuster. Overall, The Magnificent Seven is a fun time at the theater especially after an abysmal summer. 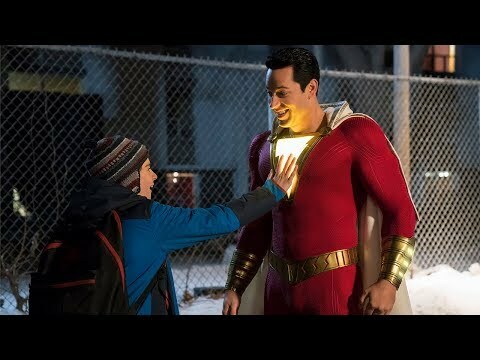 It can’t be put in the same category as either of the originals but the sheer joy from seeing the interactions between these characters and the thrilling action is enough to justify buying a ticket for this film. 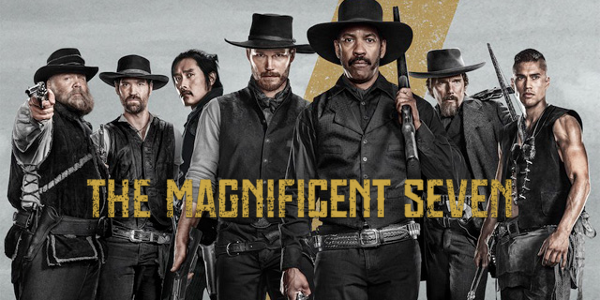 So what did you think of The Magnificent Seven? Have you seen it and what's your favorite modern western? Subscribe, share, comment below, and as always return to I Am Sam for weekly reviews and insight.